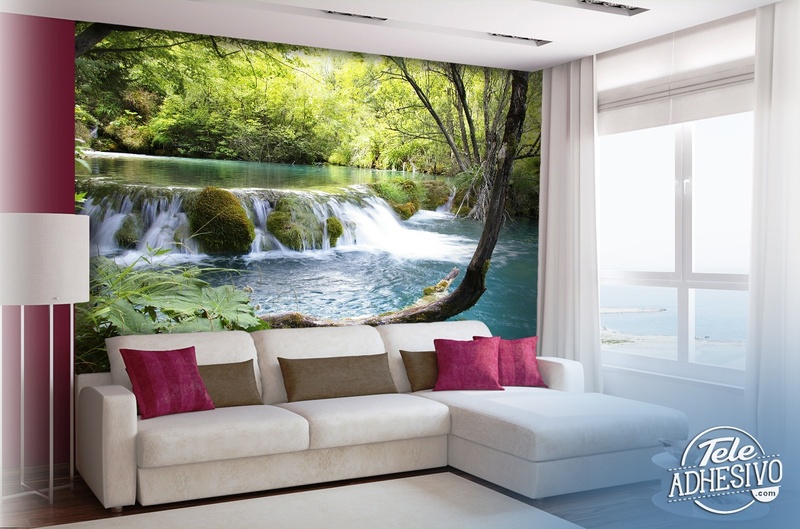 Wall mural Vegetation and river with waterfall. Photograph of a small paradise that nature can give us. A river breaks through a leafy forest in search of its mouth. In the image the greenish colors of the forest predominate that combine perfectly with the blue green of the water. Size: 6 x 39 cm.